This paper traces the evolution of forest management around Chetan village in the northern part of the Elburz Mountains of north Iran, an area of broadleaved temperate forest in the Caspian region, during three distinct time periods. Since the 18th century the forest, pasture and agricultural land were administered under common rights, with a clear financial relationship between descendants of the dominant family and other families, until the constitutional revolution of 1906. Some decades of instability preceded establishment of various regulated and non-regulated orders by new powers. Finally, the Forest Nationalization Law 1963 established new institutions that continue today with some small variations, the government now being the main policy and decision-maker. The paper highlights the differences between the three periods; the third one expresses the impact of national policy on forest proprietorship and management at the village level and the interruption of traditional and transitional processes of management. 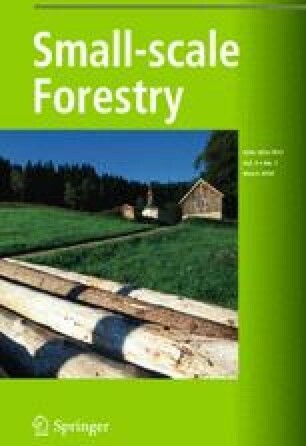 This paper was originally presented at the IUFRO International Symposium on Small-scale Rural Forest Use and Management: Global Policies versus Local Knowledge, held in Gérardmer, France, 23–27 June, 2008. The authors are grateful to Dr. Steve Harrison for his patience, valuable comments and helpful suggestions that improved the draft very much; they acknowledge also two referees for their wise advice. Also they will never forget the kindness and hospitability of Chetan villagers.